Deputy Anthony Forlano has been involved in seven shootings in the last 10 years. The family of a 23-year-old man who was shot and killed by a Los Angeles County Sheriff’s deputy last year will be filing a $10 million lawsuit against the department. Carlos Oliva, of City Terrace, was shot in the back by Deputy Anthony Forlano on Sept. 10, 2013. His family said he was unarmed and riding a skateboard in East LA at the time, but LASD reported that Oliva pointed a gun at deputies. "They told me three different stories," Oliva’s sister Bianca Oliva said. Attorney Dale K. Galipo said the family wants Forlano to be dismissed from the force and put in jail. A family is still searching for answers a year after the fatal shooting of their loved one by a Los Angeles County sheriff's deputy. Gadi Schwartz reports from East Los Angeles for the NBC4 News at 11 on Wednesday, Sept. 10, 2014. The larger story throughout the country is the problem of police shootings," Galipo said. There have been almost 10,000 police shootings in the last two decades, Galipo said. LASD had not released a statement on the lawsuit as of Thursday afternoon. Oliva’s family was shocked to find out Forlano had been involved in seven shootings in the last 10 years. "How can you allow someone to be out there and keep doing the same crime over and over without any charges," Bianca Oliva said. Wednesday night, Oliva’s family marched and chanted outside the Sheriff’s City Terrace Sub-station. Protest signs show the autopsy report that LASD tried to keep sealed. Oliva’s sister said the report shows what the family suspected all along. "He was shot eight times from behind," Bianca Oliva said. 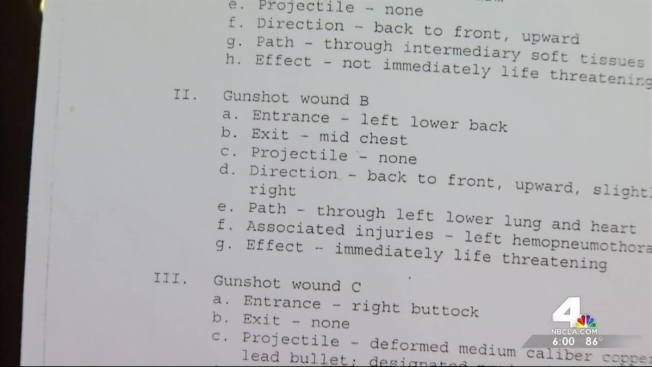 The autopsy report contradicts allegations that Oliva was facing deputies in a threatening manner when he was shot. 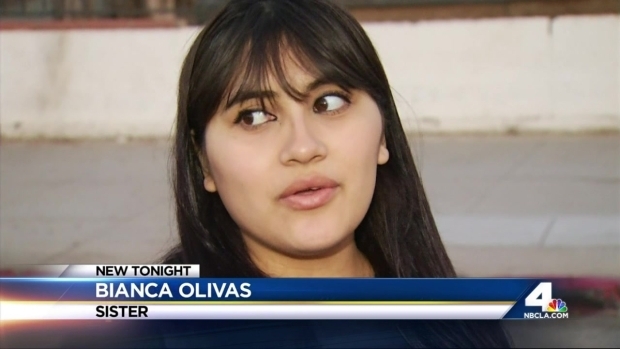 Oliva’s family will announce the filing of a $10 million federal civil rights lawsuit Thursday, the same day the LA County inspector general will be given power to investigate the case. On Wednesday, the inspector general said he would like to review all of Forlano’s cases. LASD, however, does not want to turn over records unless they can be sure they are not made public, according to an NBC4 report. Community organizers believe that the department needs to be held accountable. "What he gives us is the opposite of transparency. So we need criminal charges, murder charges filed by the district attorney," protest organizer Cliff Smith said.